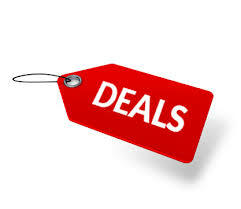 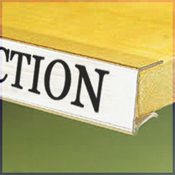 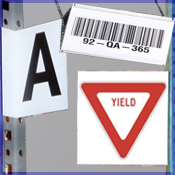 Flat, rectangular, or cubed plastic signs for hanging or attachment to racks and walls. 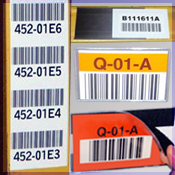 Custom lettering and barcodes available. 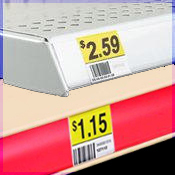 Aisle, location, zone, and messaging. 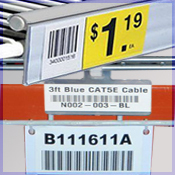 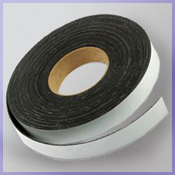 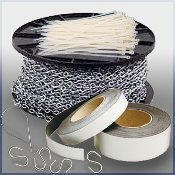 Tags for wire racks, retail displays, warehouse, and product identification and pricing. 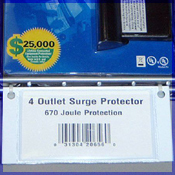 Label holders for wood shelving and square edged fixtures. 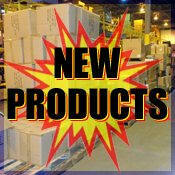 S-hooks, jack chain, magnet rolls, drop ceiling clamps, zip ties, etc. 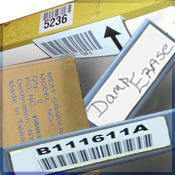 Do-It-Yourself Label Options with perforated card stock. 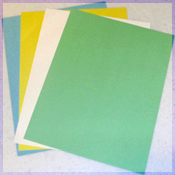 The 8-1/2"x11" index card stock is compatible with most office equipment.